One key barrier to the quick development of autonomous vehicle technology is the huge amount of data such vehicles need to work properly. 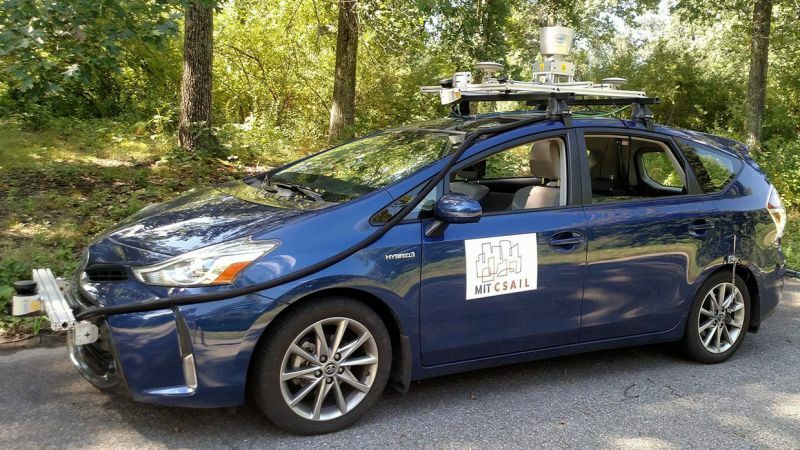 Autonomous cars that are currently undergoing testing need a wide range of advanced sensors which are used for gathering data related to weather conditions, traffic, road dimensions, and highly detailed, large scale and precise global maps. It is however not possible to maintain such maps in larger areas and they can be used mainly in small, urban areas. This would restrict the use of autonomous vehicles to very few areas for which such maps can be used. A team at MIT’s CSAIL (Computer Science and Artificial Intelligence Laboratory) tried using simpler, crowdsourced topographical maps from openstreetmap.org instead of the metric high-resolution global maps that almost all leading companies working on autonomous vehicle technology use. The key factor that made this achievement possible was the team’s realization that though GPS data is not precise enough to facilitate autonomous driving, it is precise enough to enable topological localization. This global localization system is then used in tandem with a small-scale localization system built on lidar. The small-scale system is effective as it uses each current road boundary estimation as the basis for the next estimation and collates this data with IMU and odometry data from the vehicle using a probabilistic framework. The technique proved to be surprisingly effective and can be used to estimate the shape of the road up to 35 meters in advance of the car at speeds over 67 mph. It can be also run on a standard PC at 5Hz, thus needing less system processing power. Drivers can get by with a map that can be stored on a flash drive.